Young and lovely Sheila Hayden had been planning to marry Kenny Jamison for as long as she could remember. but when Sheila became a night nurse at Mercer City Hospital, Kenny showed signs of growing resentment, and asked that she resign. Sheila, however, had fallen in love with her work. Moreover, a political campaign to smear the hospital made her presence vital to the pressured staff. Vehemently Sheila insisted that Kenny had no cause to be jealous of her job, or of the brilliant young Dr. Joel Alexander, who was so often at her side. 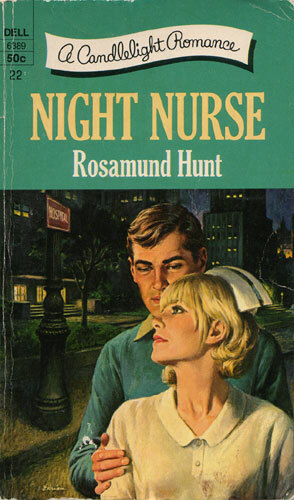 It took a mysterious kidnapping and a new and vicious attack on the hospital’s good name to force the lovely nurse to face some painful truths — about Kenny, about Dr. Alexander, and about her own buffeted heart.